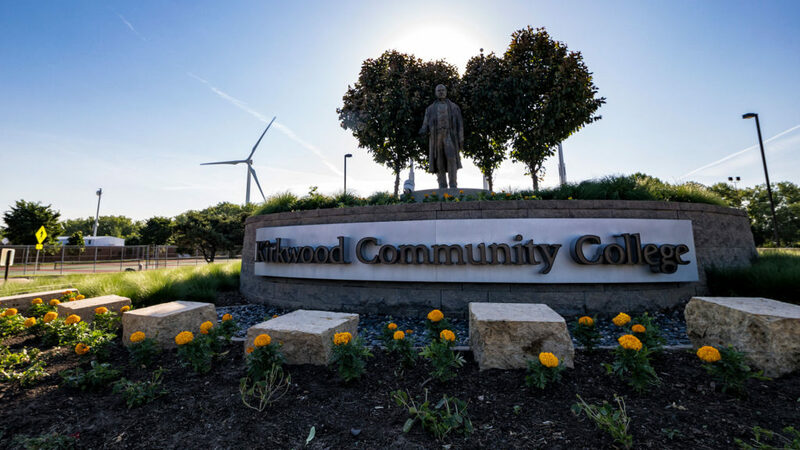 CEDAR RAPIDS, Iowa (October 4, 2018)—Kirkwood Community College was recently named one of the top workplaces in the state by the Des Moines Register. The college ranked 20th among all large companies in Iowa. Each year, the Des Moines Register, with help from their research partner Energage, surveys Iowa’s workers in search of the top-150 employers in the state. Companies are separated into small, midsized and large businesses covering a wide variety of industries. The process of selecting top workplaces is based solely on surveys completed by a company’s employees. Survey results showed the most common attributes shared by featured workplaces were a clear vision that is articulated to employees, managers that set high expectations and take an active role in company growth, and the feeling among employees of doing work that truly makes a difference. Click here for more information and a full list of featured workplaces.